Cinnamon-Sugar Cupitas & A La Mode Ice Cream Bar. . . it’s a homemade baked cup that tastes just like a churro with a creamy, nut-free, and egg-free ice cream nestled inside and toppings galore!! Fit Friday’s getting a little different spin today. . . Miss Nichole from Pure Clean Fitness and I are talking about Food Allergies. Nichole’s daughter has severe food allergies and she’s sharing her wealth of knowledge with us plus I’ve made a fun summertime treat that’s sure to make the whole family happy! I was recently introduced to A La Mode Ice Cream AND they’re a dream come true for the 15 million people out there who have food allergies! One in every 15 kids (or two per classroom) have an allergy to some kind of food. Peanut allergy causes 200,000 emergency room visits each year. So, it’s really awesome that they’re a homemade, small-batch ice cream made in a nut-free facility offering gluten-free and dairy free options too. I was so happy to share A La Mode Ice Cream with all of you that I got right to creating this Cinnamon-Sugar Cupitas & A La Mode Ice Cream Bar. . . it’s like ice cream in a churro! Mmmmm hmmm. Cinnamon-Sugar Cupitas are simple to make in three easy steps. . . This recipe is fun for a crowd to create and enjoy eating this summer with the edible Cinnamon-Sugar Cupitas, all the different varieties of A La Mode Ice Cream to pick and choose from, and lots of fun toppings. This week for Fit Tips Ruthie asked me to get a bit more personal than usual, these are tips that are used at my house on a regular basis. Do I have you intrigued? 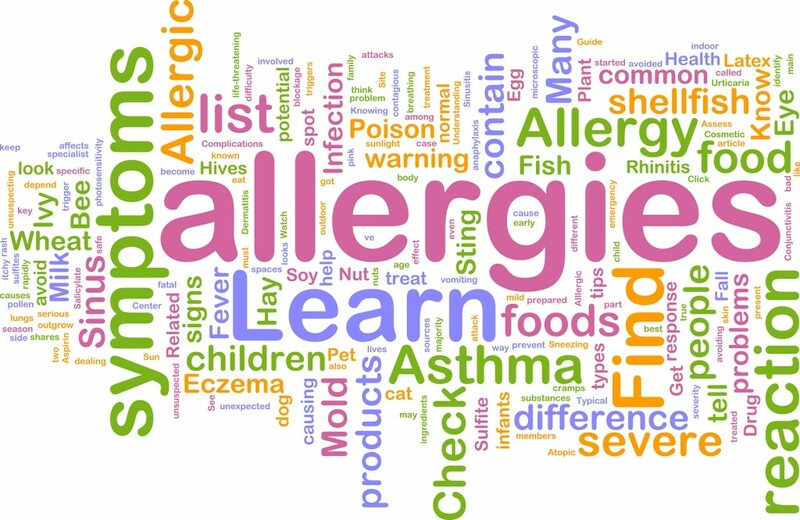 Well, the recipe for the week may have given you a clue…we are talking food allergies. My husband and I got married 5 years ago and I became an insta-mom to two beautiful girls, my bonus girls. Addy, the oldest, introduced me to the world of food allergies. She is allergic to wheat, dairy, eggs, peanuts, and tree nuts. Along with her allergies we also have my husband, he is allergic to poultry. 1) Meal plan. This is tip you have heard from me for a few different topics, hopefully by now it is getting drilled into your head. 2) Keep snacks on hand. Whether we are going to the movies or heading to a family party, we always have a few staples on hand. Addy loves Veggie Sticks and Multigrain Cheerios, both of which I can easily put into baggies and throw into the car. Fruit is always a great snack too. And send snacks, you can’t rely on your friends and family to have the right food. It isn’t fair to expect it. Again, this is one of those tips that I have thrown out there quite a bit. Are you getting the message yet? 3) Don’t be afraid to experiment. After quite a few failed baking attempts I have finally found a flour that works great for cookies, cakes, and muffins. I have learned that I do better with substituting allergy safe ingredients in recipes that my family already likes whenever possible. 4) Keep it simple. My family does a lot of meals of a meat (flank steak), rice, and steamed veggies. Simple is easy, it is also generally healthier. No sauces, or a lot of extra seasonings. 5) Embrace the internet, there are blogs and lots of places to get more ideas from. Don’t feel like you are all alone. 6) Let others know. Not only should you let others know for safety reasons, but you can also find new resources that way. All of Addy’s teachers have been great at making sure they have Addy-safe treats in their classrooms, and they make sure other parents know not to brings certain types of treats for birthdays and what not. 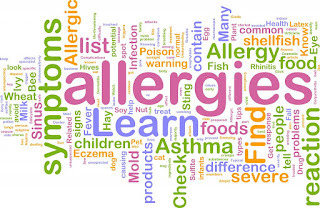 Life with allergies is not an end all be all life. Just because Addy is allergic to wheat, dairy, and eggs doesn’t mean I never send her to a birthday party where the other kids are going to be eating birthday cake filled with wheat, dairy, and eggs. No, instead I send her with her own treat that I have made through through trail and error to find something delicious, let the other parents know of her allergies, and remind her to have fun and be careful. Cinnamon-Sugar Cupitas & A La Mode Ice Cream Bar is a refreshing summertime treat for everyone! Have a totally awesome Fit Friday! On work surface lightly coat three tortillas with coconut oil cooking spray, place in zip top baggie and zip close. Microwave 15 seconds, remove from bag, place on work surface, sprinkle with cinnamon & sugar mixture. Cook 10 minutes or until edges are lightly browned and tortilla is firm to touch. Cool on pan for 2 minutes and move to cooling rack to cool completely. To serve: add a scoop of A La Mode Ice Cream and desired add toppings.